An architect by profession, Jagjeet Saluja is based in Ahmedabad, India having a profound interest for music, photography and poetry. Love is the nucleus for all he does. He looks for emotions in his subject for street photography which he later captions them with Urdu shayari either penned down by him or from his collection of great Urdu poets. A.R Rahman is his inspiration for music and Le Corbusier for his architecture. He looks for emotions in his subject for photography which he later captions them with Urdu shayari. He uses Urdu to craft his poems and lives his life by the quotes of the Sufi mystic, Jalalludin Rumi He has 600+ posts on Instagram in the name of @sher_o_tasveer. He is a self-learned Beatboxer and has given 25+ performances including being on TEDx. 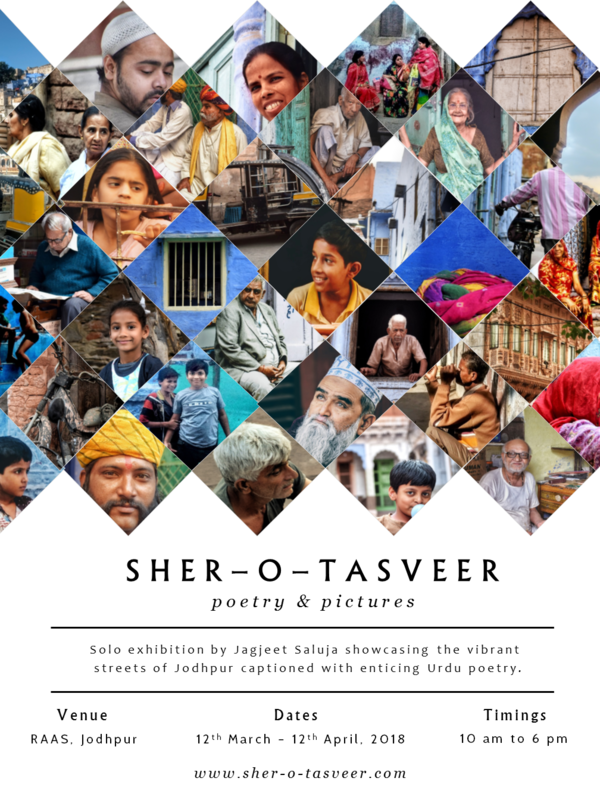 Sher means a couplet, “o” is a conjunction in Urdu meaning – “and” and tasveer depicts photography. For buying prints, please send an e-mail to jagssaluja27@gmail.com mentioning the titles of the photographs you wish to buy. The final pricing, payment methods and shipment process will be discussed further on the e-mail.